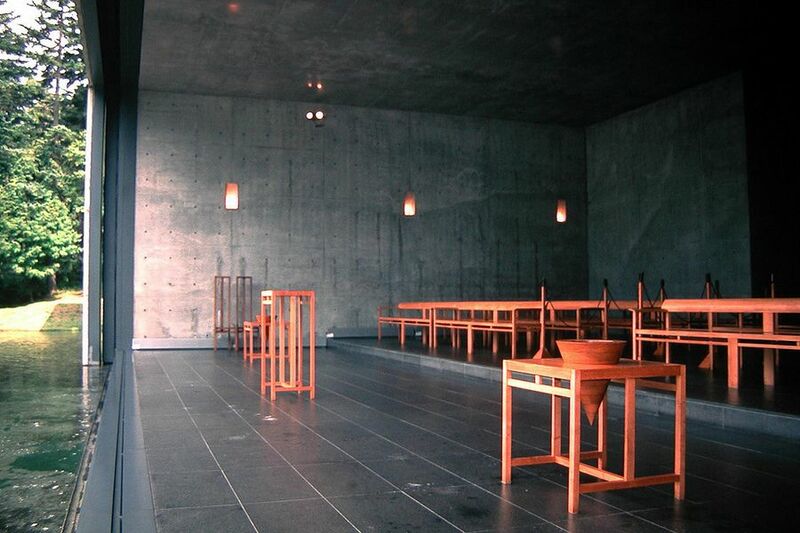 "Church on the Water” by Tadao Ando is located near Tomamu in the heart of the island of Hokkaido, northern main wall can be opened to the lake, the cross and nature is the focus of the church." 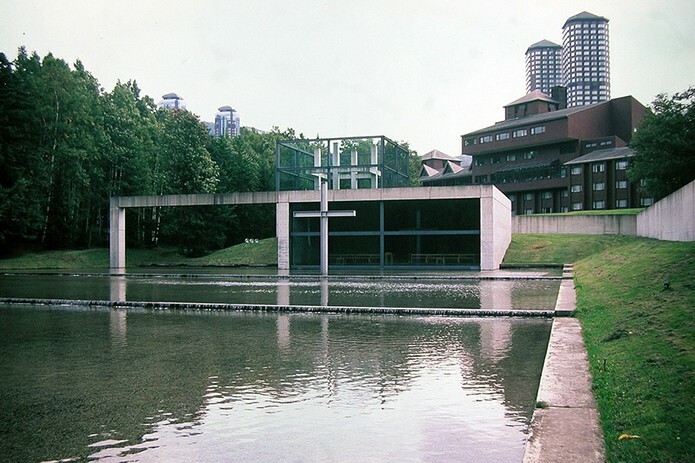 "Church on the Water by Tadao Ando.... Before my most recent trip to Japan I debated whether or not it would be possible to make it to Ando's Church on the Water. My Google skills failed me and my unfamiliarity with that part of Japan deterred me from attempting to make it to the site. Tadao Ando is the only architect to have won the discipline’s four most prestigious prizes: the Pritzker, Carlsberg, Praemium Imperiale, and Kyoto Prize — so it’s not hard to understand why he is considered one of the greatest names in contemporary architecture.... Before my most recent trip to Japan I debated whether or not it would be possible to make it to Ando's Church on the Water. My Google skills failed me and my unfamiliarity with that part of Japan deterred me from attempting to make it to the site. Ando's Church on the Water, in Hokkaido, is a Christian church which features an artificial lake which comes to the very edge of the building. The cubic concrete chapel has one entirely glass wall that slides completely away in good weather. The pews in the chapel face the lake and overlook a large steel cross standing in the middle of the water. The Church on the Water: The Church on the Water is located in Tomamu, east of the city of Sapporo on the northern Japanese island of Hokkaido. 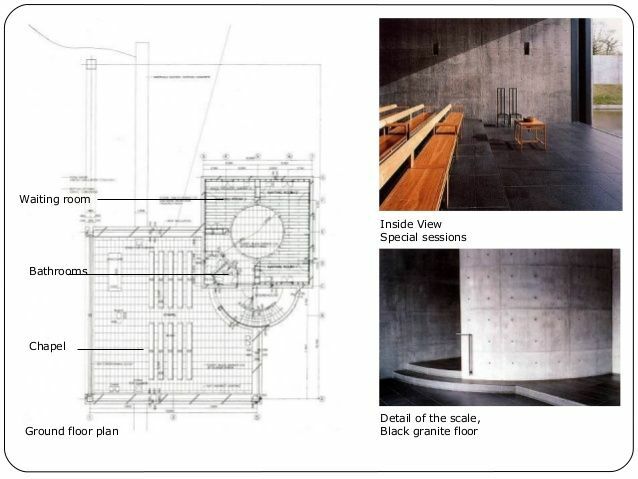 It was designed by Tadao Ando between 1985 and 1988, and it was built in an astonishingly quick five months in 1988.